The following is a series of items that are important for residents and voucher participants of the Housing Authority of the Town of Glastonbury to be fully familiar with. Read their lease carefully. A blank copy of the Welles Village lease is here, and our state elderly housing lease is here. Know the Authority’s procedures on maintenance charges, what the charges are, why and when you will be charged. Our maintenance charge policy is here, and our most recent charge list is here. Housekeeping is critically important - proper housekeeping will make your experience here more enjoyable for both you and your neighbors. More information is on our Housekeeping page, and in our Housekeeping Hints guide. Know what services you are entitled to by reading your lease carefully. Ask questions if you are unaware of any policy. You are responsible for complying with the Rules and Regulations and Policies of the Authority. Ignorance of the rules is not an excuse for violations. The Welles Village rules and regulations are here. A handbook for the elderly housing developments has been developed, and it can be accessed here. Work with your neighbors to keep your building and development looking as nice as possible. Report safety issues immediately to the Main Office (652-7568). Keep your rental payments current. Your payments contribute toward the operation and maintenance of your housing. Notify the Main Office (652-7568) immediately if you need maintenance services. By acting promptly, you will save yourself and the Authority time and expense. For security reasons, all overnight visitors must be reported to the Housing Auhority within 24-hours of their arrival. Please call the Authority’s receptionist with your visitor’s name and provide the vehicle plate number if they park on Authority property. Visits exceeding 14-days in one calendar year are not approved and shall be considered a breach of the lease, and are grounds for termination of the lease. Always pay their portion of the rent and any required utilities on time. Failure to do so may result in eviction and termination from the program. Cooperate with annual recertifications and inspections. This is a core requirement of the program and failure to recertify or cooperate may result in termination. 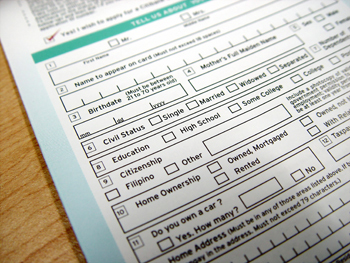 Applicants and voucher holders must annually complete a personal declaration and certification, which is here. Read your lease carefully, and adhere to all its terms. Understand that the voucher is a payment to the landlord - we do NOT have a contract with you - only the owner. YOU in turn have a contract with the landlord, and it must be followed. Promptly notify the housing authority of any changes in family composition, income, or assets, and any eviction notices or other adverse actions taken by the landlord. Not have or obtain any ownership interest in the unit, not sublease the unit or any portion thereof. Submit a Request for Tenancy Approval, Owner Data Form, Owner Certification, and Lead Based Paint Disclosure for any apartments to be occupied by a voucher holder. Upon receipt of this documentation, we will schedule an inspection for compliance with Housing Quality Standards. Execute a Housing Assistance Payment (HAP) Contract and Addendum and adhere to the terms therein. Advise the Main Office immediately if a tenant moves or advises of their intent to move, or if you need to begin eviction proceedings.